We were told growing heritage wheat was like cultivating a different crop. The seed is based on the mixture of traditional wheat varieties (known as a landrace) that would have been grown in the past to suit the climate and soils of each farm. Over the years our landrace will evolve, as some varieties thrive and others are less well suited to the Trenchmore terroir. As we discover further heritage wheat seeds we’ll add these too. 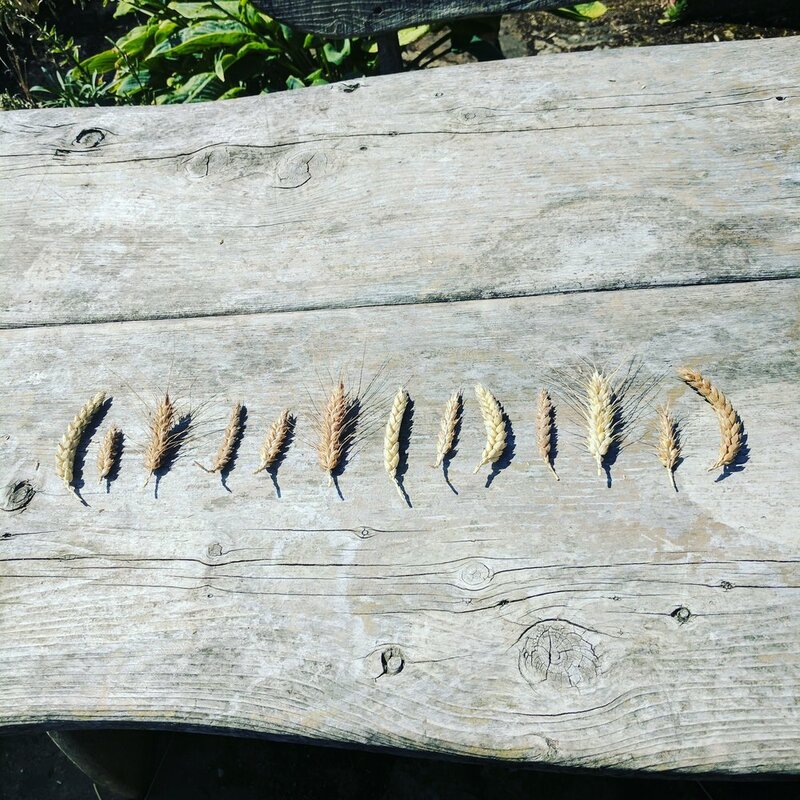 These heritage varieties are thought to be more nutrient dense and have better flavour than modern varieties, and according to BBC’s Gardener’s Question Time Matthew Wilson modern wheat breeding is responsible for the growing intolerance to gluten. Our wheat berries come in 600g bags and were awarded a Great Taste Award earlier this year. To be used instead of rice or couscous, you can boil them and add them to stews, salads and risottos. With more bite and a delicious nutty flavour, our wheat berries are also packed with fibre which aids better digestion.